We are instrumental in offering Industrial Fabrication & Erection. To fabricate these products, we have appointed skilled professionals who hold expertise in this domain. Moreover, they clearly understand the requirements of patrons and fabricate aforementioned products using modern machinery such as lather & drilling machines while keeping in mind the established quality standards. 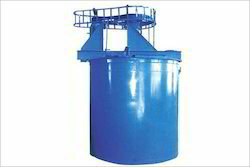 With an aim to stand tall on the expectations of patrons, we are engaged in fabricating Storage Tank with Agitator. 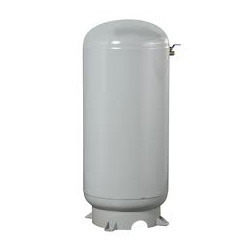 We fabricate these storage tanks in accordance to the specifications given by patrons by making use of the premium quality components, sourced from the most reputed vendors. After the completion of the fabricating process of provided storage tanks, our quality controllers check these so as to ensure their flawlessness. Leveraging on the support of dexterous workforce, we are able to fabricate Chemical Agitator as per the contemporary market trends. Our professionals make personal interaction with patrons, understand their requirements and fabricate these chemical agitators, accordingly. 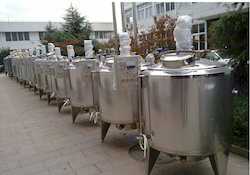 These professionals are well-aware of the universally accepted quality standards and fabricate these chemical agitators as per the same by making use of the best grade raw material. Clients can avail from us quality Air receiver. These air receivers or air tanks offered by us are known to maintain the air pressure to create a comfortable atmosphere. Furthermore, the offered range is available in different customized specifications, so as to meet the diverse requirements of valued customers. Understanding the requirements of pharmaceutical and chemical industries, we are engaged in fabricating Stainless Steel Storage Tanks. 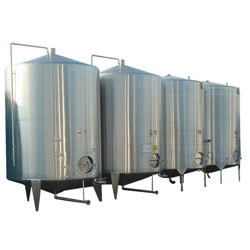 We fabricate these storage tanks at patrons specified location by making use of the modern machinery and best grade required components, sourced from the trusted vendors of the industry. Moreover, we fabricate these storage tanks in the capacity of 10 liter to 20 kl that are jacketed/limpet.